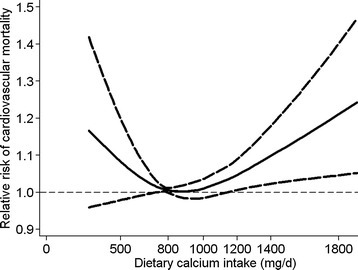 Cardiovascular disease and osteoporosis: balancing risk management. In this narrative review of the current literature, we examine the traditional risk factors and patient profiles leading to cardiovascular disease and osteoporosis. We discuss the interrelationships between risk factors and common pathophysiological mechanisms for cardiovascular disease and osteoporosis. We evaluate the increasing evidence that supports an association between these disabling conditions. We reveal that vascular health appears to have a strong effect on skeletal health, and vice versa. We highlight the importance of addressing the risk benefit of preventative interventions in both conditions. We discuss how both sexes are affected by these chronic conditions and the importance of considering the unique risk of the individual. We show that habitual physical activity is an effective primary and secondary preventative strategy for both cardiovascular disease and osteoporosis. We highlight how a holistic approach to the prevention and treatment of these chronic conditions is likely warranted. Genetic determinants of osteoporosis: common bases to cardiovascular diseases? Osteoporosis is the most common and serious age-related skeletal disorder, characterized by a low bone mass and bone microarchitectural deterioration, with a consequent increase in bone fragility and susceptibility to spontaneous fractures, and it represents a major worldwide health care problem with important implications for health care costs, morbidity and mortality. Today is well accepted that osteoporosis is a multifactorial disorder caused by the interaction between environment and genes that singularly exert modest effects on bone mass and other aspects of bone strength and fracture risk. The individuation of genetic factors responsible for osteoporosis predisposition and development is fundamental for the disease prevention and for the setting of novel therapies, before fracture occurrence. In the last decades the interest of the Scientific Community has been concentrated in the understanding the genetic bases of this disease but with controversial and/or inconclusive results. This review tries to summarize data on the most representative osteoporosis candidate genes. Moreover, since recently osteoporosis and cardiovascular diseases have shown to share common physiopathological mechanisms, this review also provides information on the current understanding of osteoporosis and cardiovascular diseases common genetic bases. Association between atherosclerosis and osteoporosis, the role of vitamin D.
The latest data support the correlation of atherosclerosis and osteoporosis, indicating the parallel progression of two tissue destruction processes with increased fatal and non-fatal coronary events, as well as higher fracture risk. 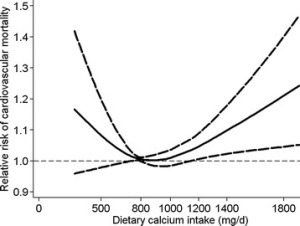 Vitamin D inadequacy associated with low bone mineral density increases fall and fracture risk, leads to secondary hyperparathyroidism, calcifies coronary arteries and significantly increases cardiovascular disease. Randomized clinical trial evidence related to extraskeletal vitamin D outcomes was limited and generally uninformative. A recent recommendation on vitamin D dietary requirements for bone health is 600 IU/d for ages 1-70 years and 800 IU/d for 71 years and older, corresponding to a serum 25-hydroxyvitamin D level of at least 20 ng/ml (50 nmol/l). Further large randomized controlled trials are needed to reassess laboratory ranges for 25-hydroxyvitamin D in both diseases, in order to avoid under- and over-treatment problems, and completely clarify the relationship between atherosclerosis and osteoporosis. Atherogenic phospholipids attenuate osteogenic signaling by BMP-2 and parathyroid hormone in osteoblasts. Cardiovascular disease, such as atherosclerosis, has been associated with reduced bone mineral density and fracture risk. A major etiologic factor in atherogenesis is believed to be oxidized phospholipids. We previously found that these phospholipids inhibit spontaneous osteogenic differentiation of marrow stromal cells, suggesting that they may account for the clinical link between atherosclerosis and osteoporosis. Currently, anabolic agents that promote bone formation are increasingly used as a new treatment for osteoporosis. It is not known, however, whether atherogenic phospholipids alter the effects of bone anabolic agents, such as bone morphogenetic protein (BMP)-2 and parathyroid hormone (PTH). Therefore we investigated the effects of oxidized 1-palmitoyl-2-arachidonoyl-sn-glycero-3-phosphorylcholine (ox-PAPC) on osteogenic signaling induced by BMP-2 and PTH in MC3T3-E1 cells. Results showed that ox-PAPC attenuated BMP-2 induction of osteogenic markers alkaline phosphatase and osteocalcin. Ox-PAPC also inhibited both spontaneous and BMP-induced expression of PTH receptor. Consistently, pretreatment of cells with ox-PAPC inhibited PTH-induced cAMP production and expression of immediate early genes Nurr1 and IL-6. Results from immunofluorescence and Western blot analyses showed that inhibitory effects of ox-PAPC on BMP-2 signaling were associated with inhibition of SMAD 1/5/8 but not p38-MAPK activation. These effects appear to be due to ox-PAPC activation of the ERK pathway, as the ERK inhibitor PD98059 reversed ox-PAPC inhibitory effects on BMP-2-induced alkaline phosphatase activity, osteocalcin expression, and SMAD activation. These results suggest that atherogenic lipids inhibit osteogenic signaling induced by BMP-2 and PTH, raising the possibility that hyperlipidemia and atherogenic phospholipids may interfere with anabolic therapy. The association of bone mineral density measures with incident cardiovascular disease in older adults. The associations of volumetric and areal bone mineral density (BMD) measures with incident cardiovascular disease (CVD) were studied in a biracial cohort of 2,310 older adults. BMD measures were inversely related to CVD in women and white men, independent of age and shared risk factors for osteoporosis and CVD. We investigated the associations of volumetric (vBMD) and areal (aBMD) bone mineral density measures with incident cardiovascular disease (CVD) in older adults enrolled in the Health, Aging, and Body Composition study. The incidence of CVD was ascertained in 2,310 well-functioning white and black participants (42% black; 55% women), aged 68-80 years. aBMD measures of the hip were assessed using DXA. Spine trabecular, integral, and cortical vBMD measures were obtained using QCT. During an average follow-up of 5.4 years, 23% of men and 14% of women had incident CVD. Spine vBMD measures were inversely associated with incident CVD in white men [HR(integral)=1.39, 95% CI 1.03-1.87; HR(cortical)=1.38, 95% CI 1.03-1.84], but not in black men. In women, aBMD measures of the total hip (HR = 1.36, 95% CI 1.03-1.78), femoral neck (HR = 1.44, 95% CI 1.10-1.90), and trochanter (HR = 1.34, 95% CI 1.04-1.72) exhibited significant associations with CVD in blacks, but not in whites. All associations were independent of age and shared risk factors between osteoporosis and CVD, and were not explained by inflammatory cytokines or oxidized LDL. Our results provide support for an inverse association between BMD and incident CVD. Further research should elucidate possible pathophysiological mechanisms linking osteoporosis and CVD. Cardiovascular disease (CVD) and osteoporosis (OP) are public health problems with numerous epidemiological links and important economic consequences. Recent studies have demonstrated that CVD and cardiovascular mortality are associated with reduced bone mineral density (BMD) and bone fractures. These two conditions may be sustained by similar or common pathophysiological mechanisms and risk factors. There are several matrix proteins, such as type 1 collagen, proteoglycan, osteopontin, and osteonectin, which are found in bone and vascular matrix components. Matrix proteins play an important role both in bone formation and in the development of atherosclerosis. Estrogens also play a role in both CVD and OP through their effects on cytokines, such as IL-1, IL-6 and TNF-alpha and osteoprotegerin (OPG). The lack of estrogens induces an increase in these cytokines and a decrease in OPG, both implicated in the mechanisms of bone loss and atherogenesis. An additional link between CVD and OP seems to be related to the action of some drugs, such as bisphosphonates, statins and raloxifene. Several studies suggest that the mechanism of action of these drugs at cellular level may not be mutually exclusive, acting either in bone or in atherosclerotic plaque. However, further studies are necessary to define the relationship between CVD and OP more specifically and to understand the complex interaction of similar or common risk factors and genetic or molecular determinants.